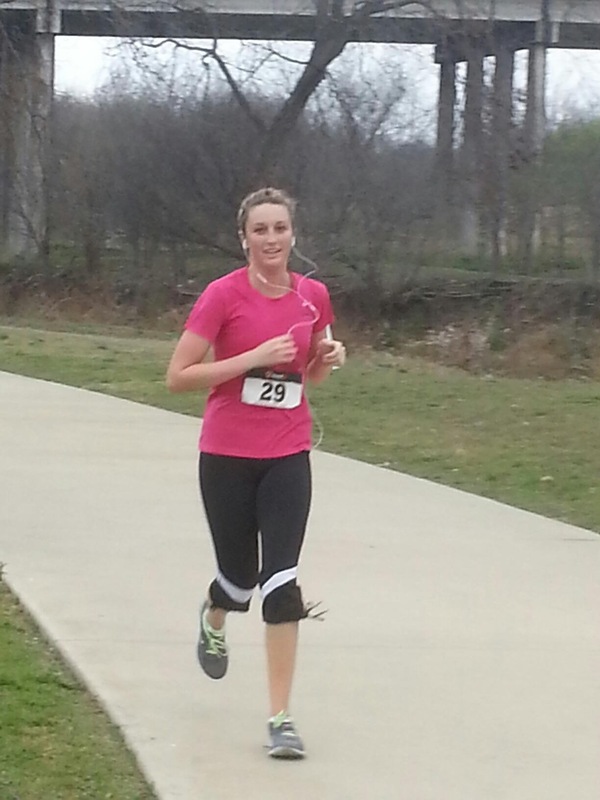 I did a 5k this weekend!! As you can see it was just a small, local race. But it was a perfect no stress race to get me back to racing! I haven’t raced since last May, so I was a little nervous! 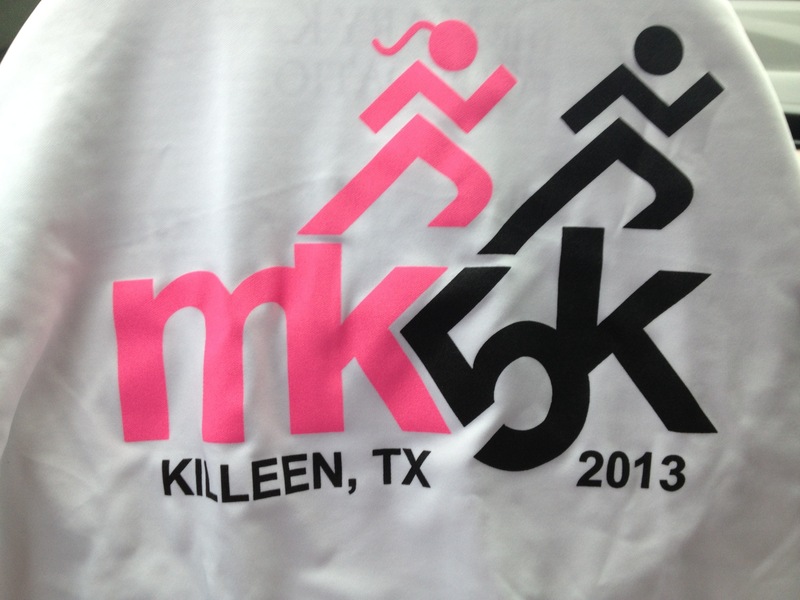 This race was a first annual charity race benefiting the Mark Kay foundation. My goal going into the race was to be under 30 minutes, after my first mile was 9:26 with alot of hills, I knew I could push myself. My second mile was 8:57 and my third was 9:16! 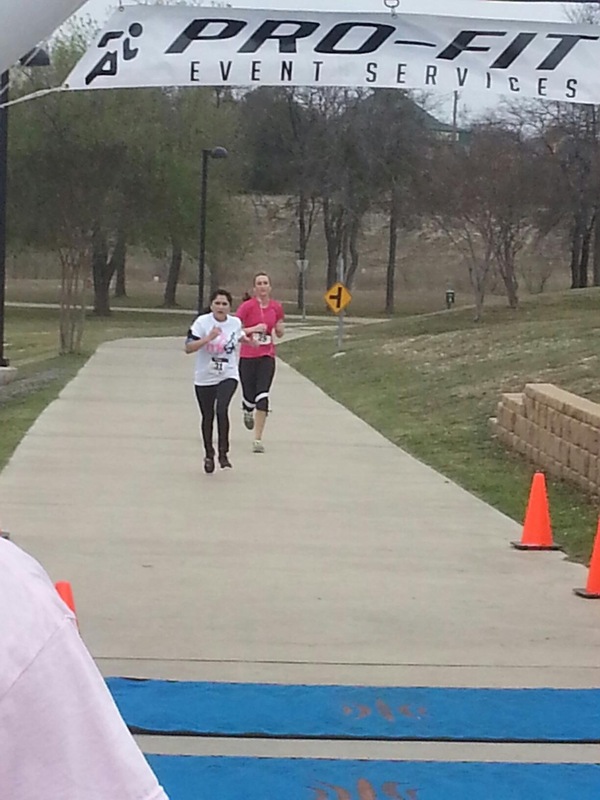 My total finish time was 28:31!! I was not expecting to race that well, but I guess my hard work lately paid off. 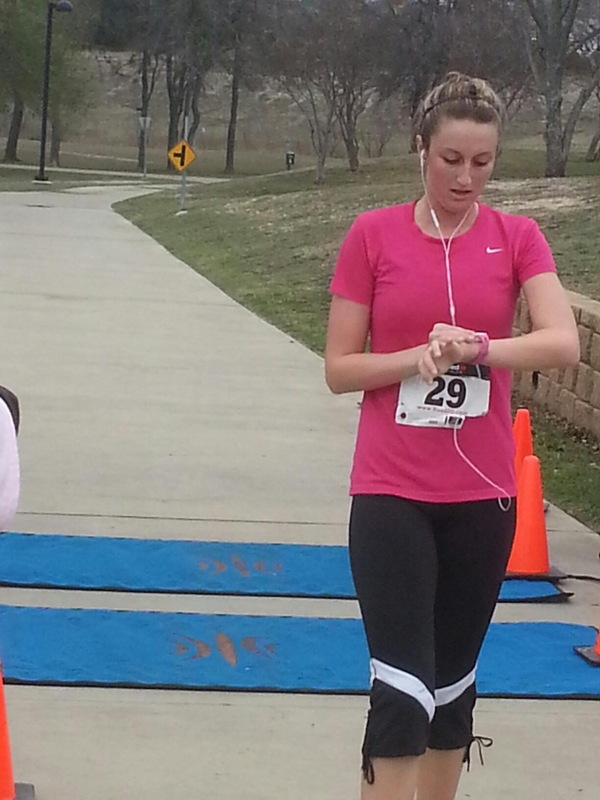 This entry was posted in Uncategorized and tagged 5k, Fitness, Race, running, workout on March 11, 2013 by Taylor Bresciani. It’s Wednesday! That means we are halfway to the weekend, and that is definitely something to cheer about in my book. So far my week has been plugging right along. I feel on top of my homework and I have made it through all my workouts this week! Now I know that a 9:20 pace would be a snails pace for most people, but for me this is a huge victory! My “comfortable jog” pace is 11:30 which i know some people could walk faster than that. However, I am a firm believer that it doesn’t matter how fast you run, it just matters that you are out there pushing yourself and staying active! I also know from my exercise science classes that everyone has a different VO2 max (basically the maximum oxygen you can take in during a maximum exertion). This means that effort and pace is relative. I know this is a basic concept but there is actual science behind it! I just find this so interesting (this is the exercise science nerd inside me). Basically, exercise levels are based at a percentage of your VO2 max. So a 100m all out sprint would be at 90-95% of your VO2 max, a jog might be at 60% of your VO2 max. This is a different pace for everyone. So someone who is running a 12 minute mile my be pushing themselves to do that just as hard as someone else running a 6 minute mile because of their different VO2 max levels. Okay enough science talk, basically I’m saying that running 9:20 pace for two miles for me felt like I was sprinting lol it’s all relative! 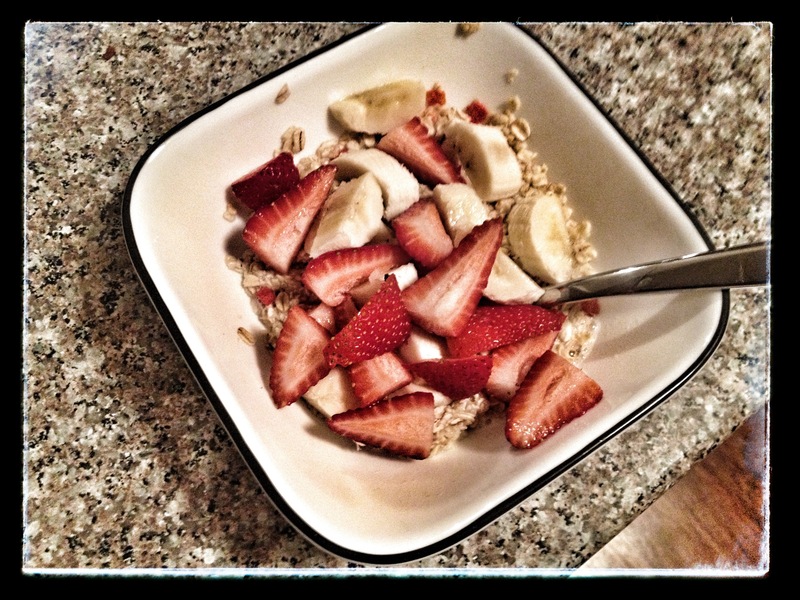 My favorite breakfast this week has been oatmeal and fresh fruit. Yum! Well I’m done with class for today so I’m about ready to hit the gym for the evening! 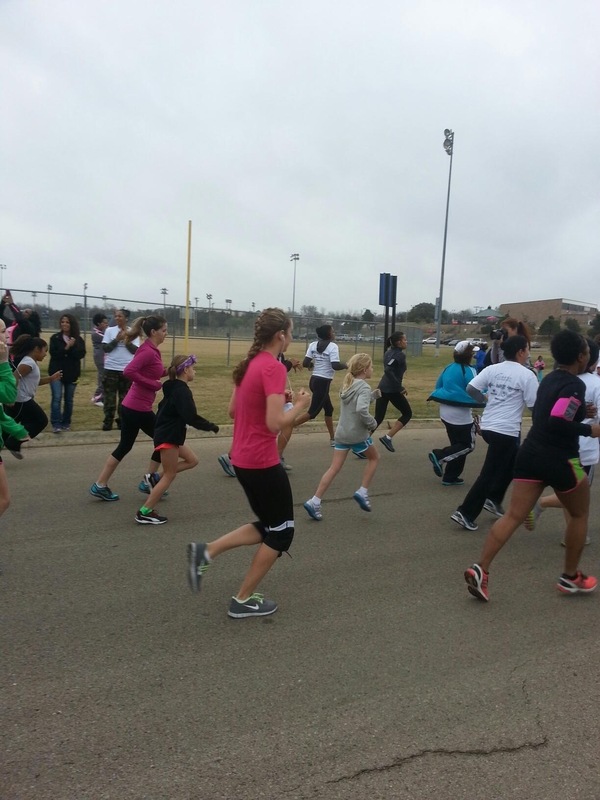 What are some of your proud running moments? I would love to hear them! This entry was posted in Uncategorized on February 27, 2013 by Taylor Bresciani. This week went pretty smoothly here. Nothing exciting going on at school, finally a one week break with no tests, Ill take it! I also, managed to get all my workouts in this week except for 1 (yay!). Tuesday: got stuck at the tax office for three hours, missed my workout window. Wednesday: NROLFW Workout 3A then 3.5 mile tempo run on the treadmill. As you can see, the treadmill and I were friends this week. I usually avoid the treadmill like the plague, and always run outside. However, this week the weather wasn’t cooperating with me very well. On wednesday, I thought there is no way that I will be able to do a 3.5 mile tempo run on the treadmill. But I pleasantly surprised myself! I just buckled down and pushed myself and I felt great afterwards. Yesterday morning Jordan and I went to the gym together, which is what we normally do on the weekends. Afterwards when we finally got home, we were starving and I was really wanting something filling. I ended up making sausage gravy with biscuits and fried eggs! Right now I am munching on toast, apple with peanut butter, and some coffee. Perfect for a pre-run fuel! My plans for the rest of the day include laundry and writing a paper due on Tuesday! This entry was posted in Uncategorized and tagged breakfast, food, healthy, husband, NROLFW, running, workout on February 24, 2013 by Taylor Bresciani. You guessed it.. Taxes. I don’t know why I dread doing them so much.. I mean it’s not that complicated but it’s just like one more thing you have to worry about in February, and I just don’t enjoy it. Being a military family makes things a little more difficult I think. 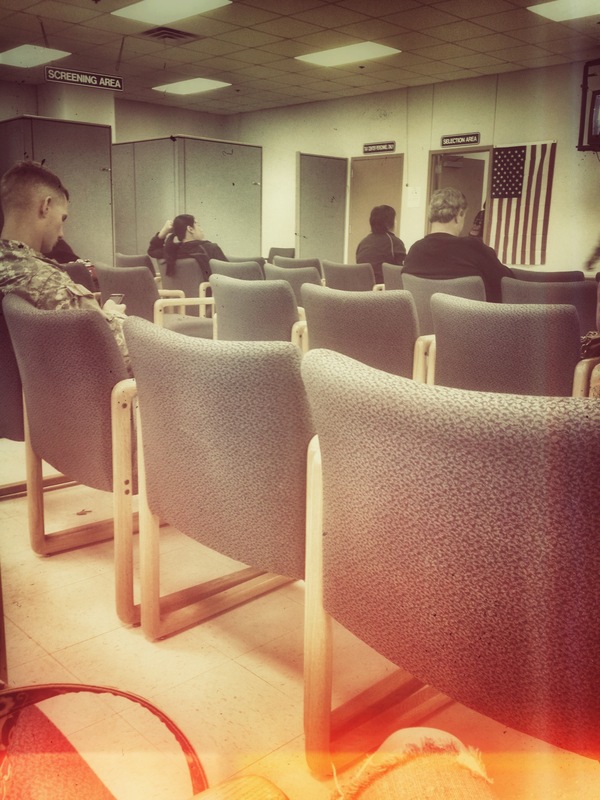 In 2012, Jordan was deployed for half the year which has different tax rules, we moved to Texas with the DITY move that has tax stipulations, and I also worked part time in both Ohio and Texas. We are both still legal residents of Ohio but has our address in Texas. All these things just make tax time that more complicated. Now my question is, that was for the federal return, what the heck do we do for a sate return? Do I file one in Ohio? Texas? Or Both? I earned money in both states in 2012 but am currently a legal resident of Ohio? Guess that’s something I will have to figure out in the next few weeks! I will just be relieved when the whole thing is done. Is tax time a nightmare for you? Do you have any suggestions to make it easier? This entry was posted in Uncategorized and tagged Finances, military, Money, Taxes on February 20, 2013 by Taylor Bresciani. 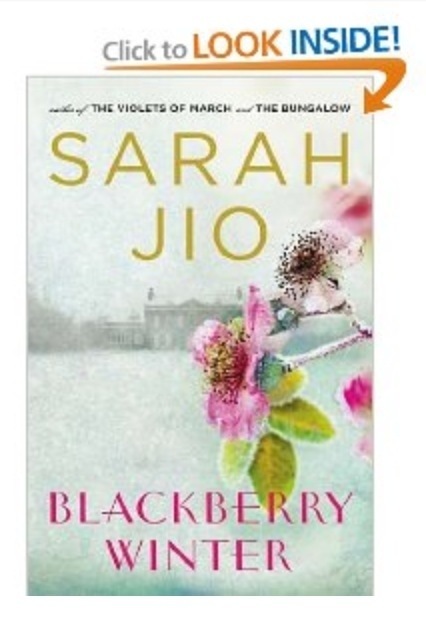 It was such a good book that I finished it in less than 24 hours! I just couldn’t put it down. The basis of the story starts with a winter storm in May of 1933 where a little boy goes missing in the middle of the night. From there, the story jumps back and forth between 1933 mother looking for her child to a modern day journalist writing a story on the storm in 1933. As the present day journalist, Claire, discovers more and more about the events surrounding the 1933 case, the reader becomes suspicious that Claire and the boys mother, Vera, are somehow connected. I think that is what really kept me hooked in to the story. I really wanted to know what happened to the little boy and how the two women are connected. About halfway through the story you find out that Claire has also lost a child in her own tragic incident. This just gives her more fuel to her fire to find out what happened to the poor little boy in that winter storm. There are multiple twists near the end of the story, but by the end of it I was satisfied with the conclusion and would consider it a great book! I would definitely recommend it to anyone looking for a quick, enjoyable read. Have you read any good books lately? Do you have any recommendations for my next read? This entry was posted in Uncategorized and tagged Book Review, books, Reading on February 19, 2013 by Taylor Bresciani. As promised, I told you I would do a full post on the ball we went to on Valentines Day! My husband and I have never gotten to go to a formal event together (other than our wedding of course) due to the long distance. Needless to say we were very excited to not only go to the 1st Calvary 2-227th Battalion Formal together but to actually spend our first Valentine’s Day together in four years! It was a special night indeed! Once we got all dressed up we drove to the Mayborn Civic and Convention Center in Belton. Out in the parking lot we met up with some friends! I love the car with the Ohio State flag in the background. I don’t know whose it is but GO BUCKS! 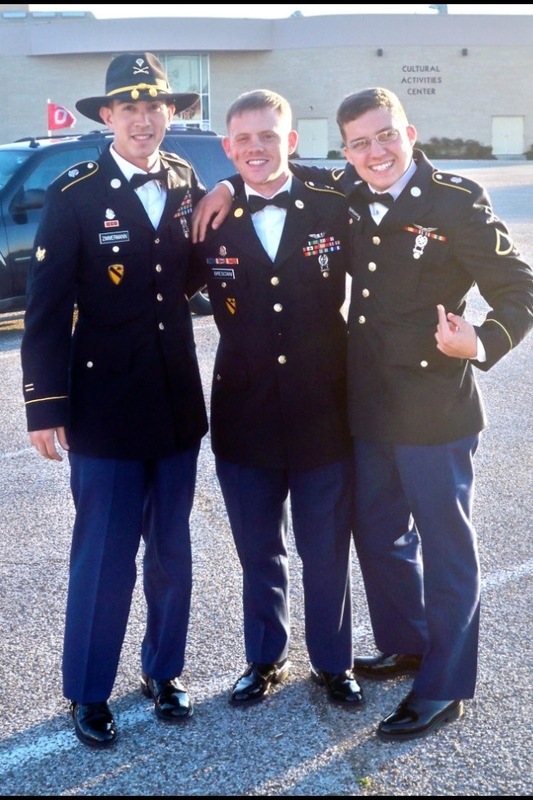 Don’t they look so handsome in their dress uniform?! Once we got inside it was cocktail hour and appetizers until the whole company got there. Once everyone was there about 45 minutes later we were seated and dinner was served. They did introductions and a full round of toasts during dinner. Shortly after began the “grog” ceremony. 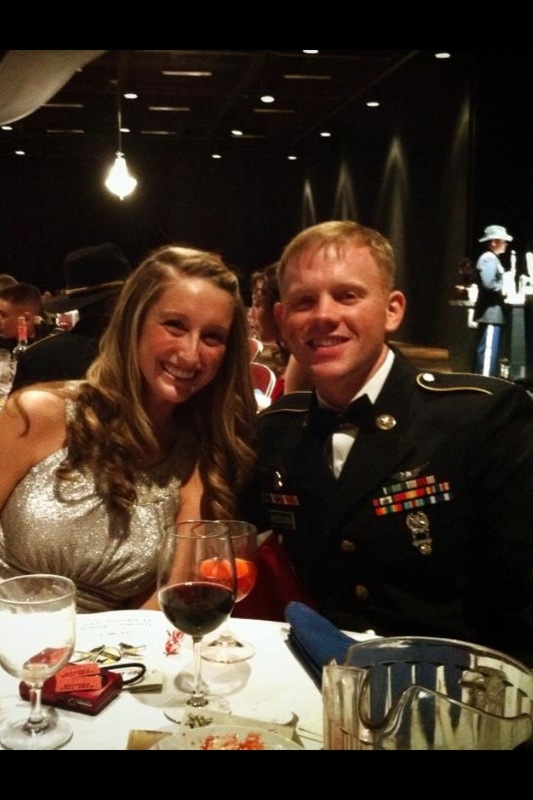 I guess it is an army ball tradition but I have never heard it before. Basically they start with a punch bowl and they have a story about all the places 1st Cav has been and for each location they played and song and added something to the grog (beer, champagne, rum, vodka) you name it and they put it in! At the end o they story everyone drinks the grog and the dancing begins! It was a pretty fun tradition. This entry was posted in Uncategorized and tagged army, Ball, husband, military, Valentine's Day on February 18, 2013 by Taylor Bresciani. Our house has been bustling with activity this week. I have had a crazy week at school and am just glad to be done with it! I was very consistent with my workouts this week so hopefully I can keep it up! One of my favorite dinners this week was Hawaiian ham sandwiches, they were delicious! They had hawaiian bread, ham, swiss, onion, mustard, and Worcestershire sauce. 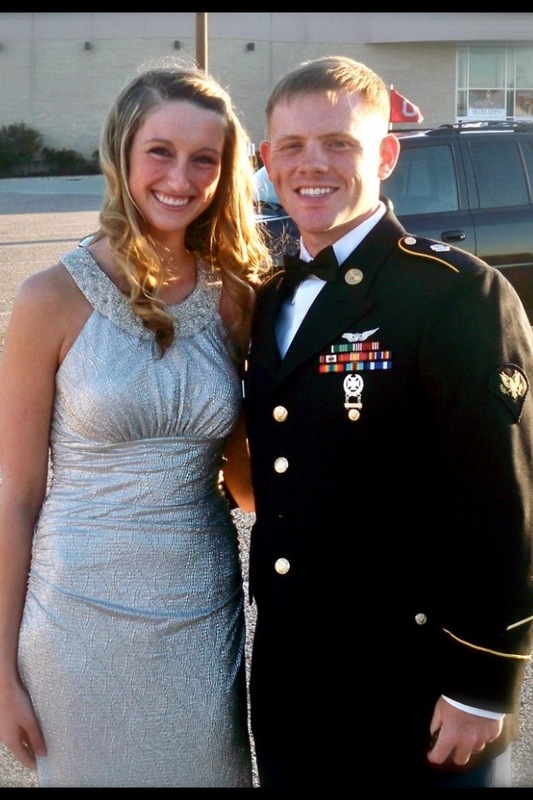 Thursday was Valentines Day and my husband and I went to his Battalion Ball, but I will do a whole post about that later! Here is a picture of us all dressed up! We had such a fun time. What did you do for Valentines Day? Do you have anything fun planned for the weekend? 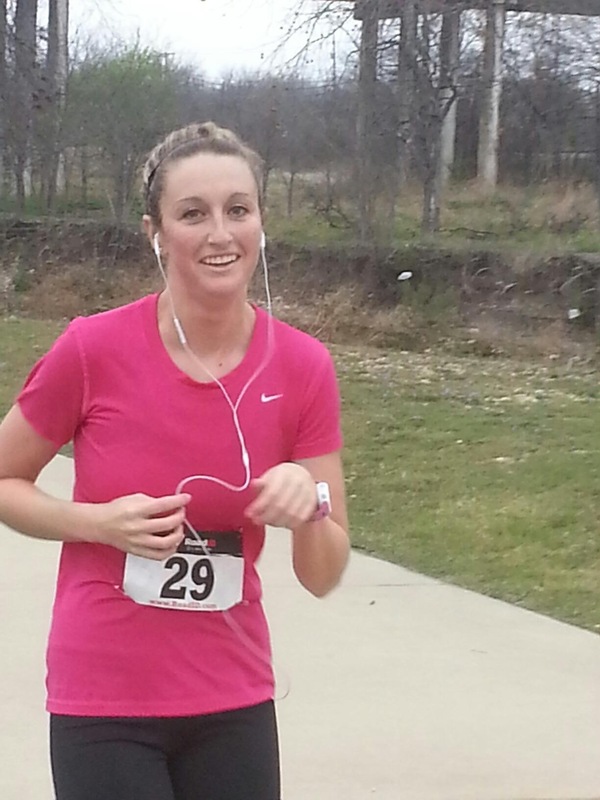 This entry was posted in Uncategorized and tagged army, food, husband, military, NROLFW, recipe, running, workout on February 16, 2013 by Taylor Bresciani.